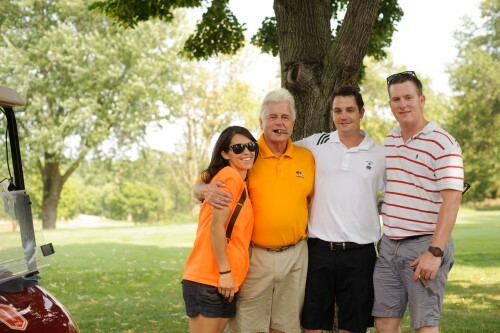 What an incredible day! 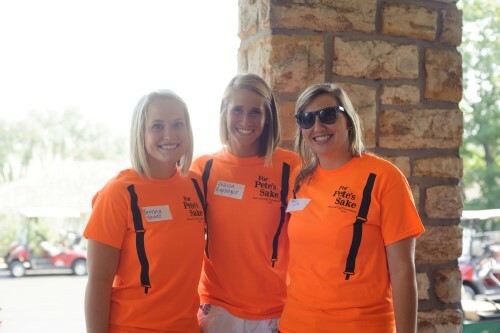 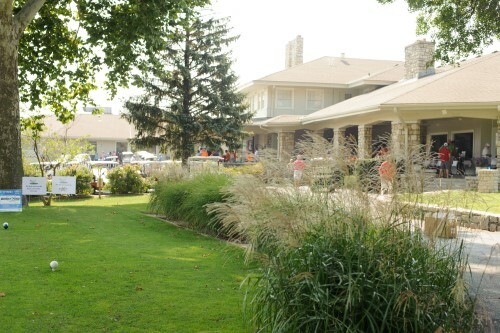 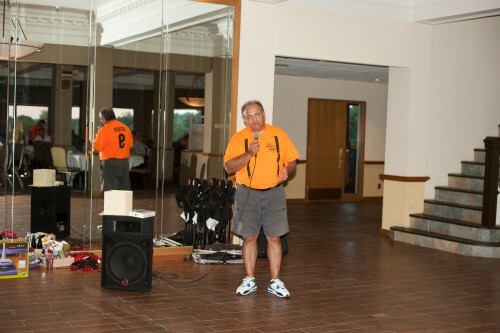 Over 400 people attended our inaugural event. 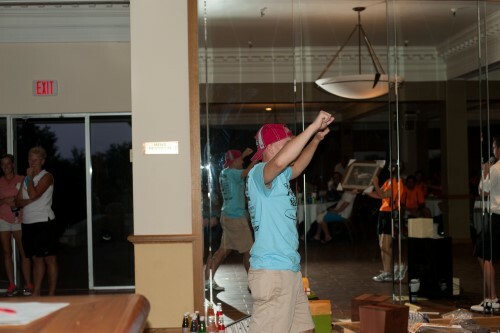 It was wonderfully crazy! 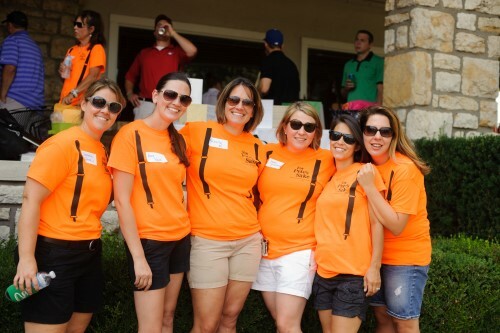 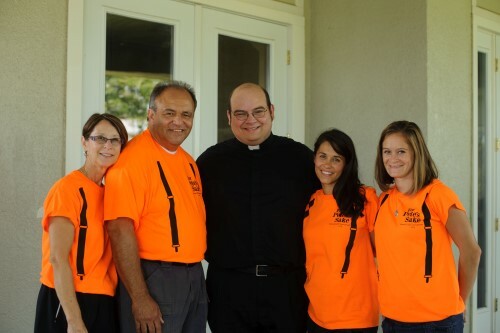 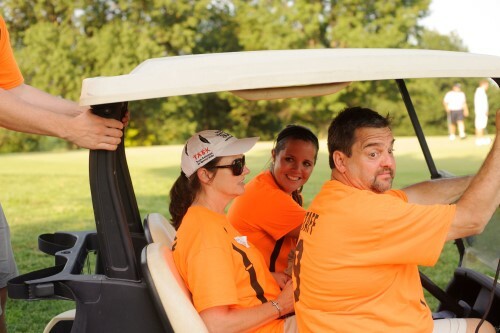 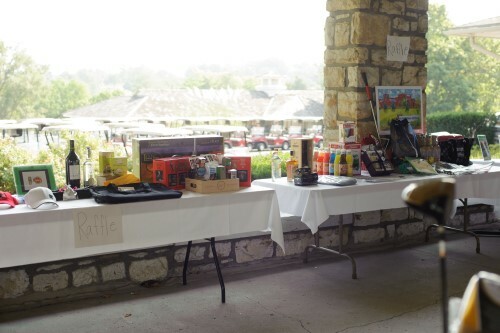 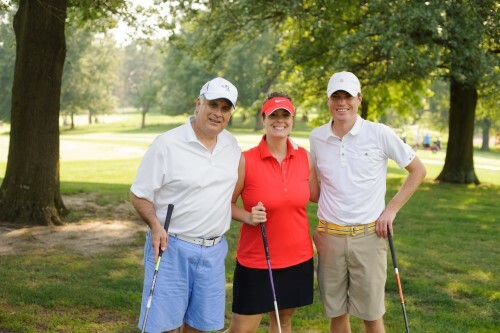 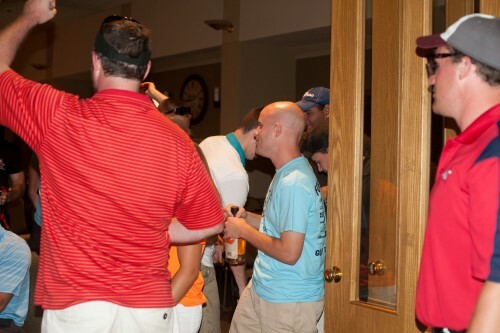 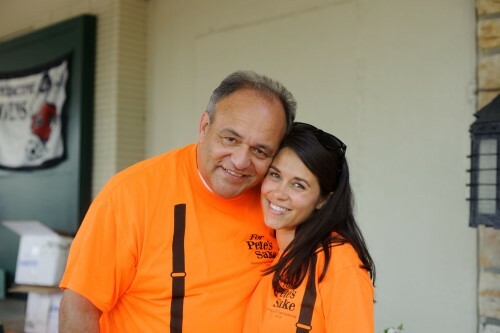 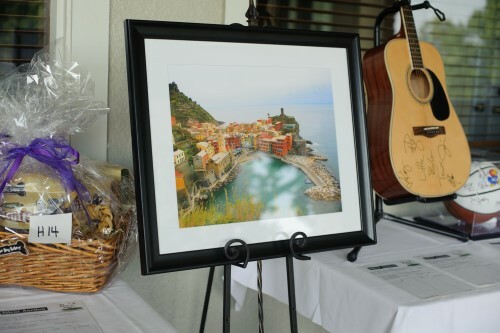 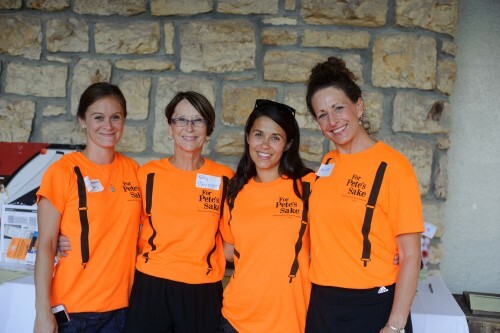 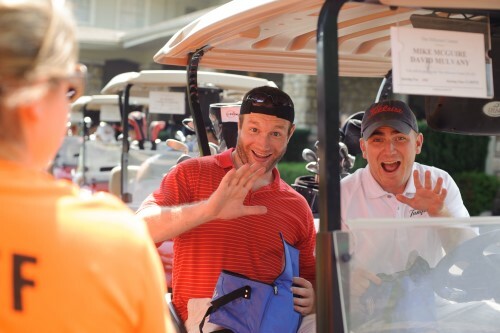 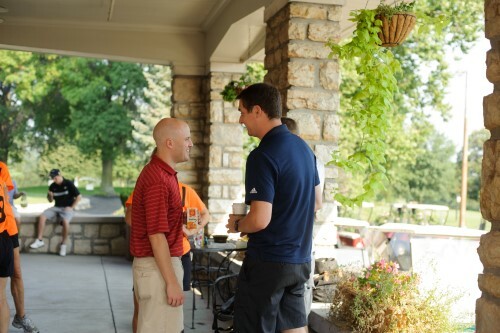 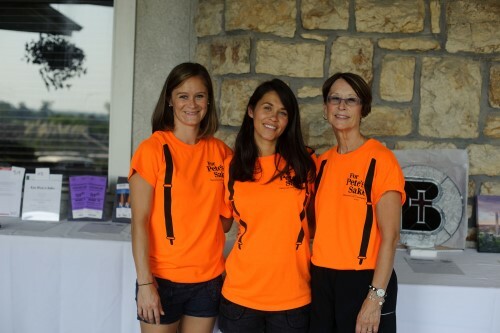 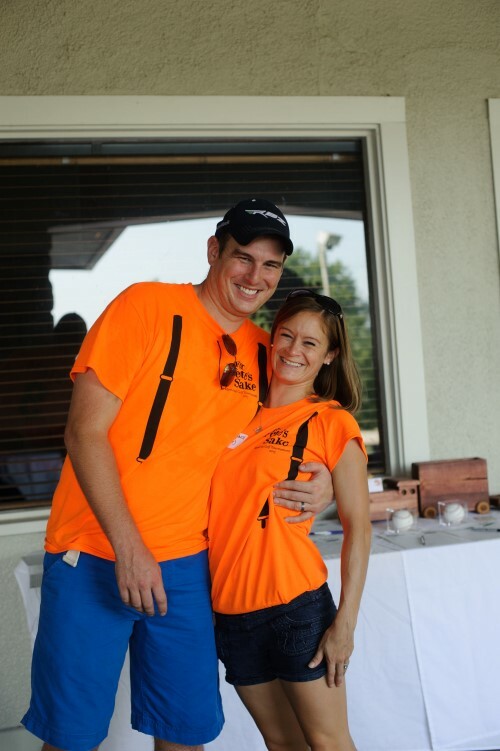 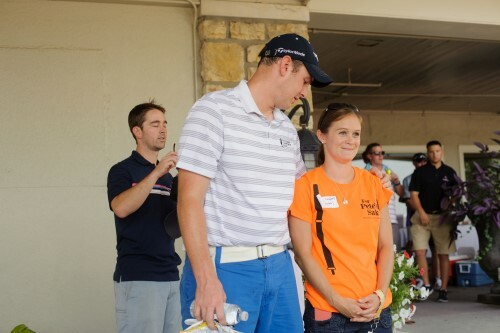 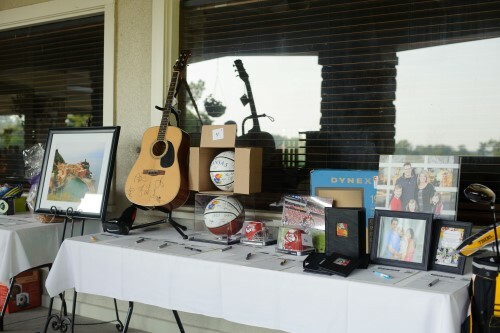 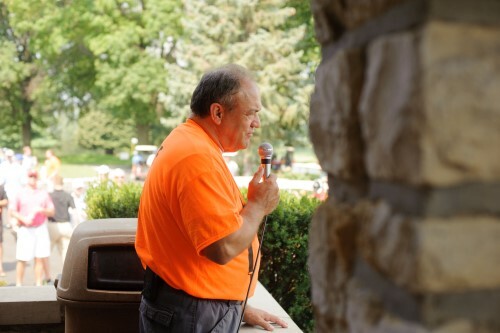 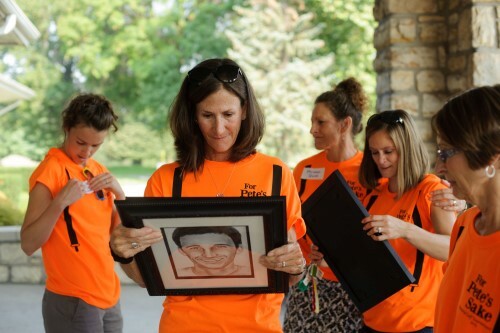 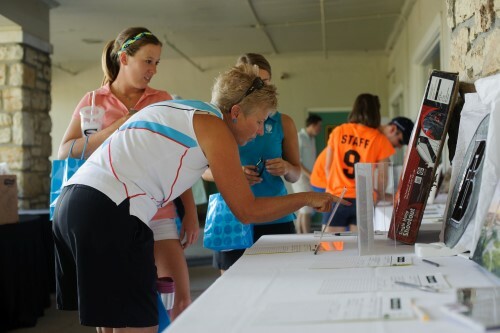 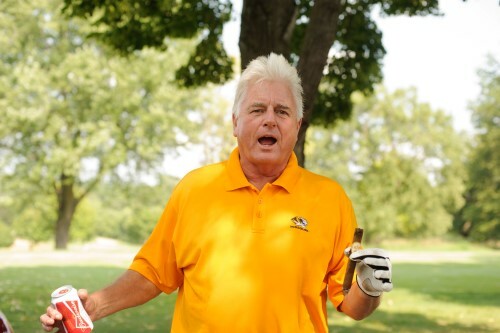 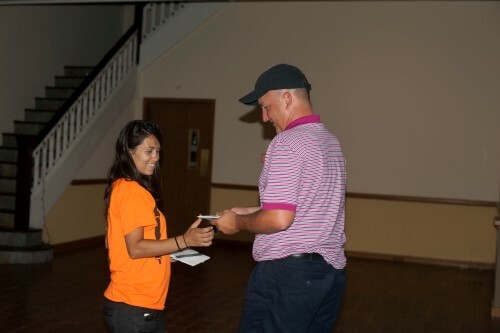 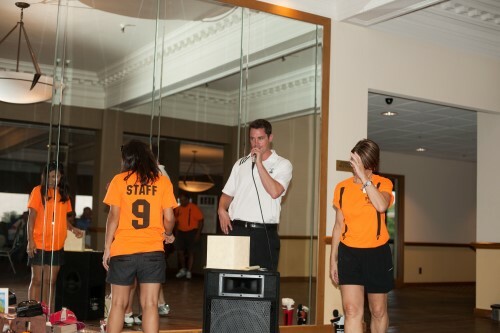 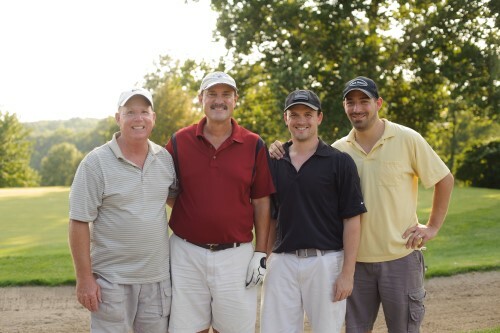 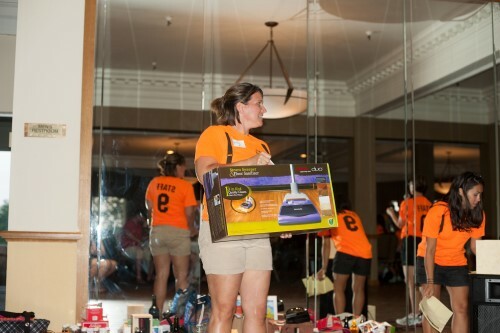 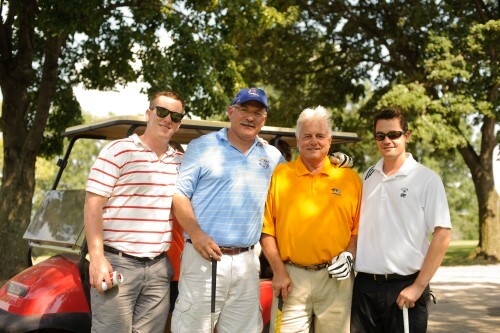 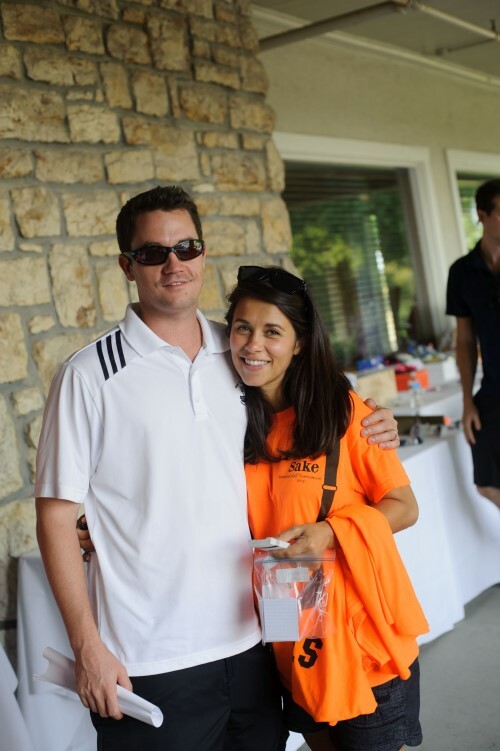 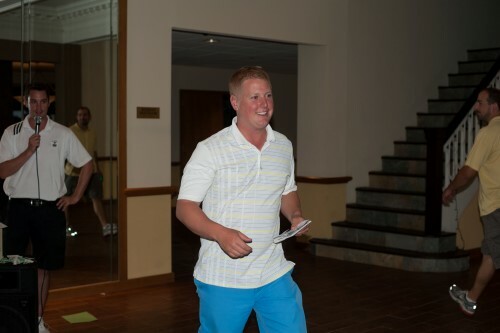 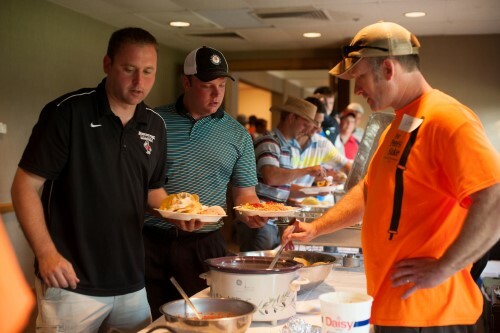 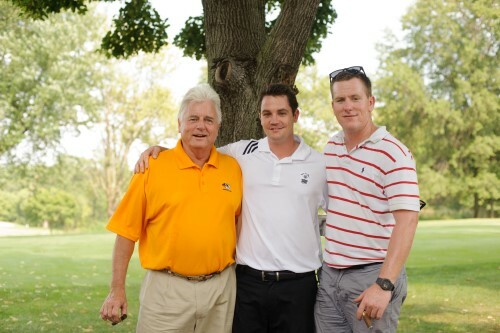 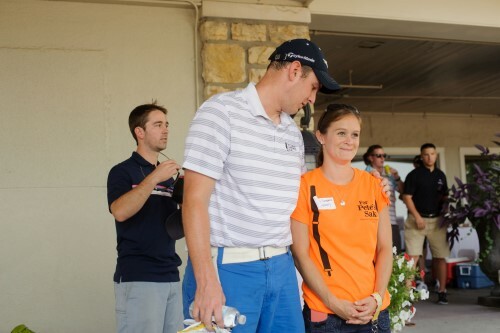 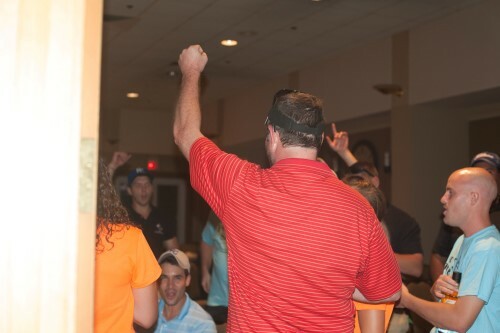 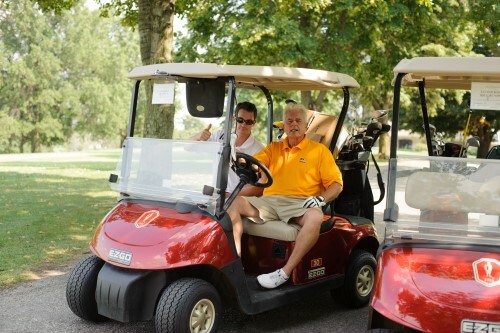 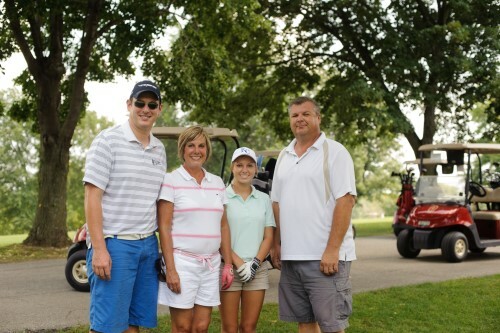 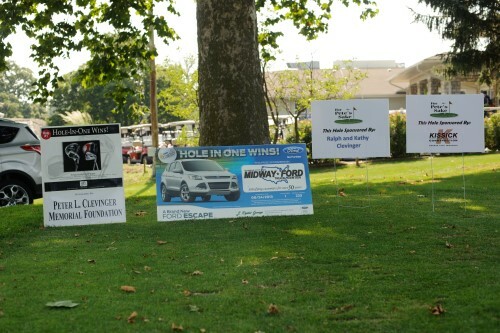 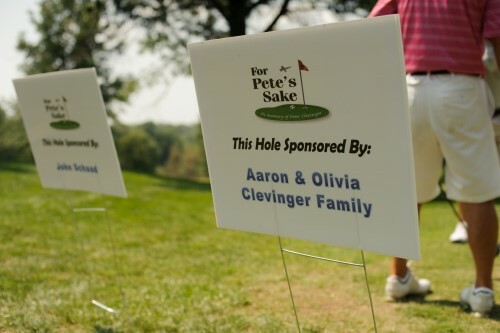 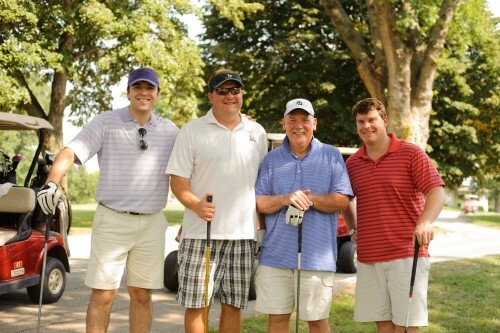 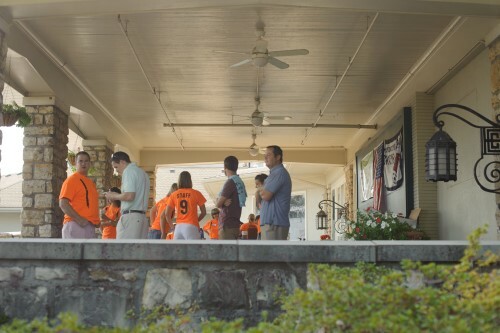 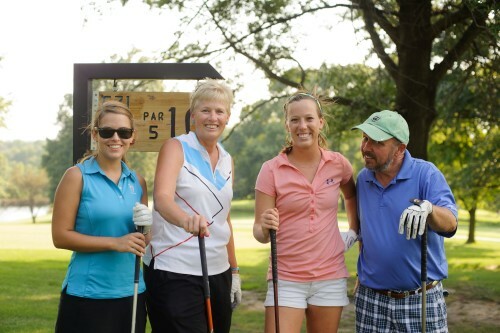 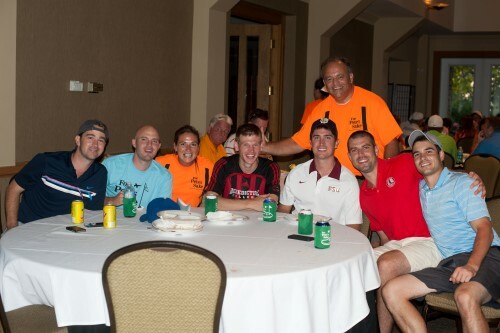 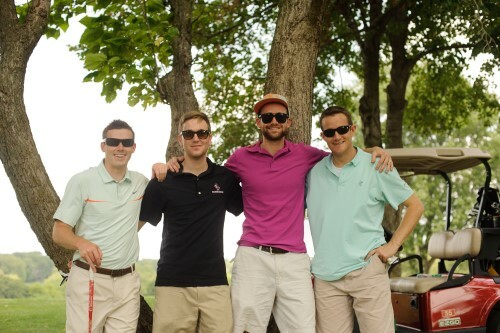 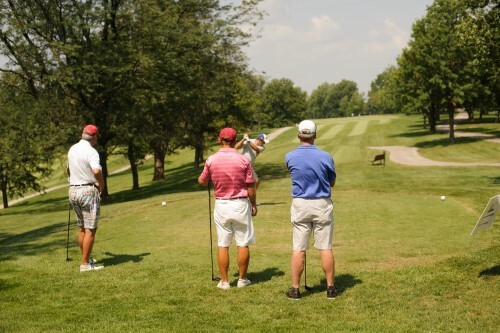 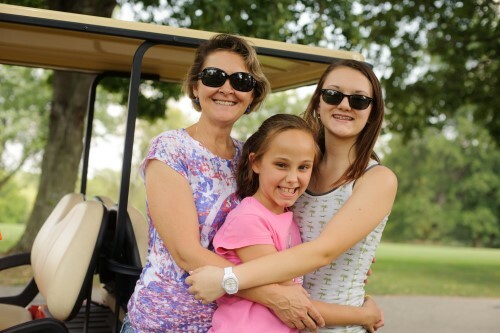 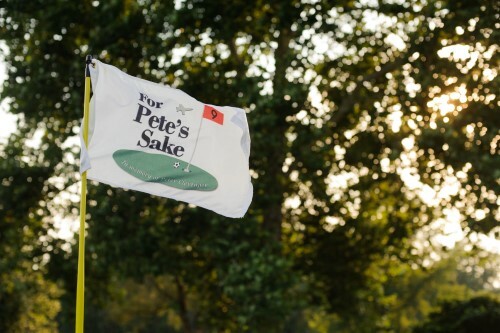 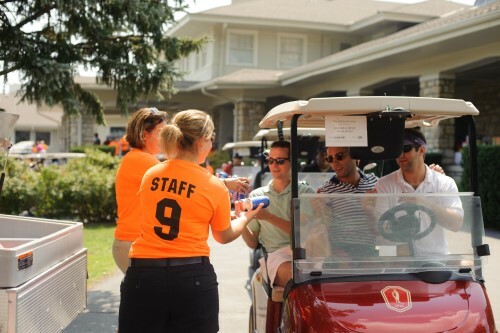 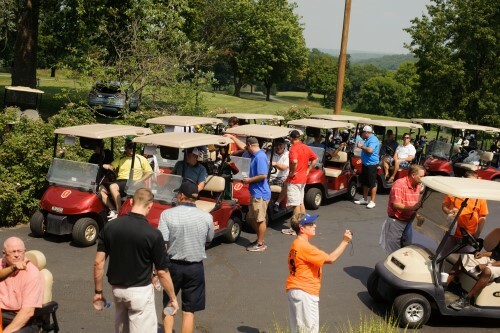 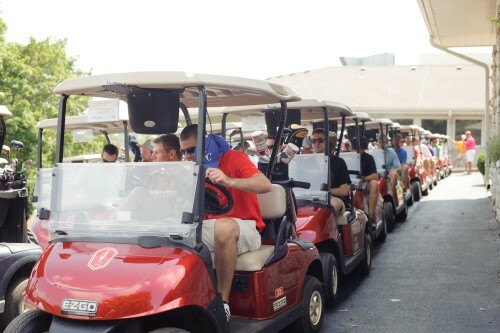 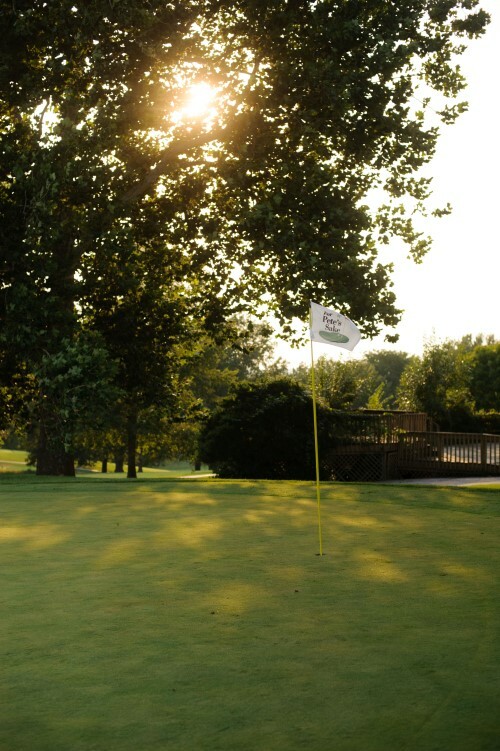 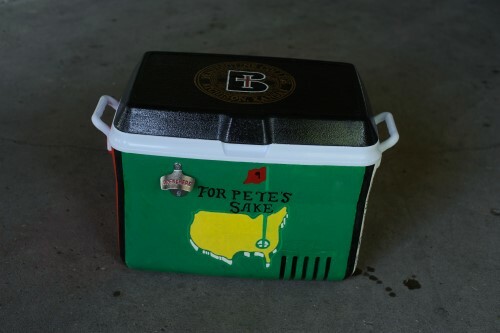 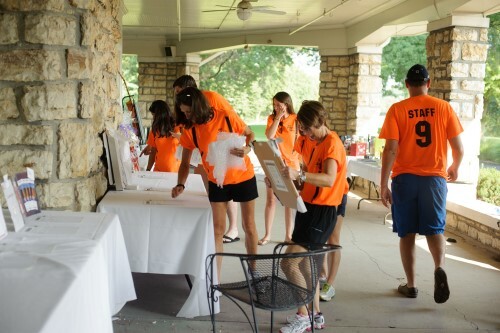 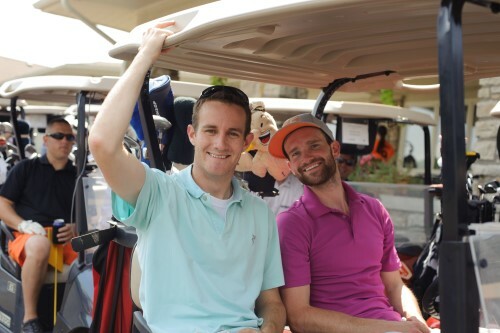 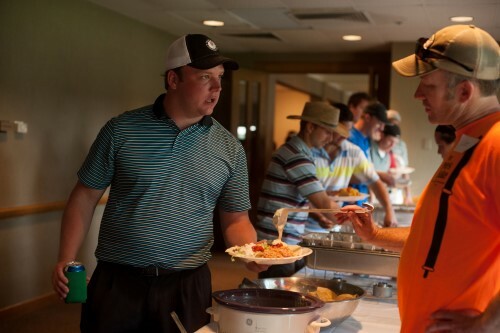 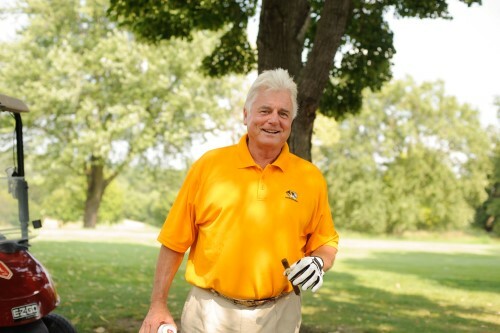 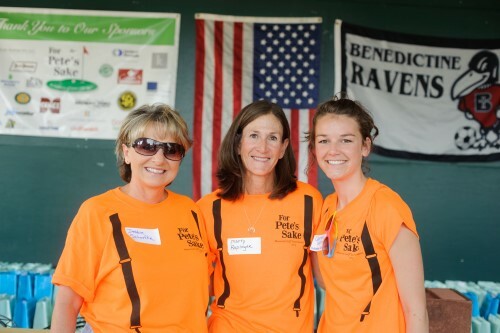 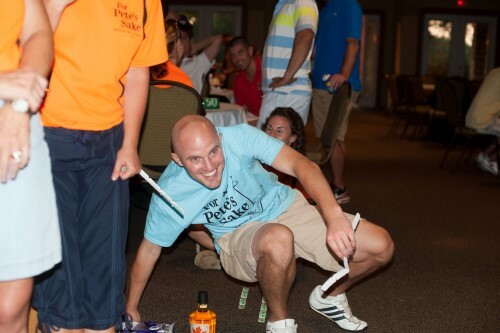 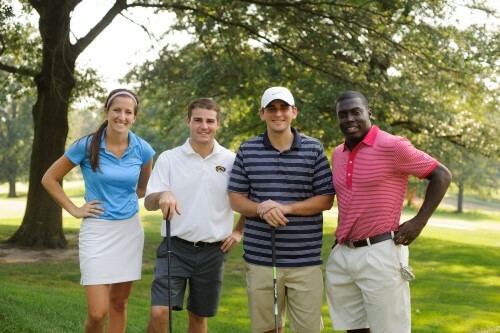 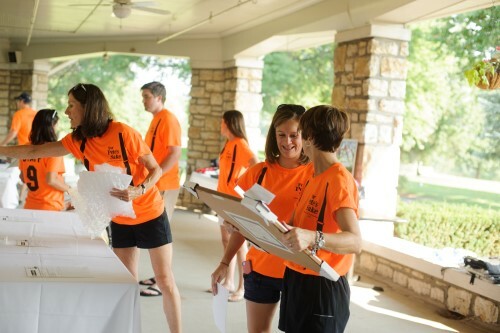 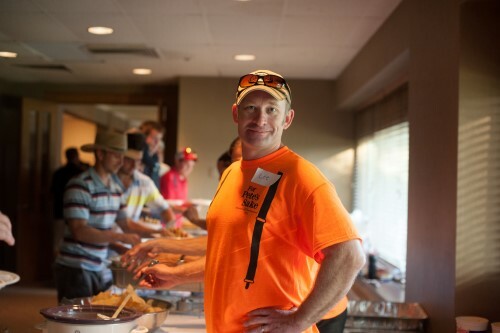 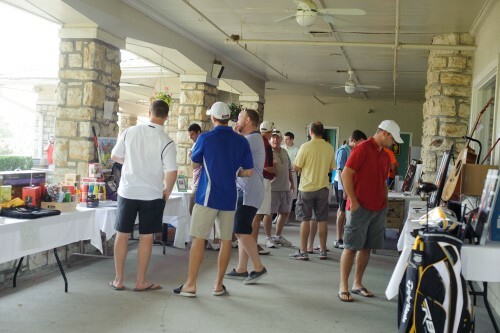 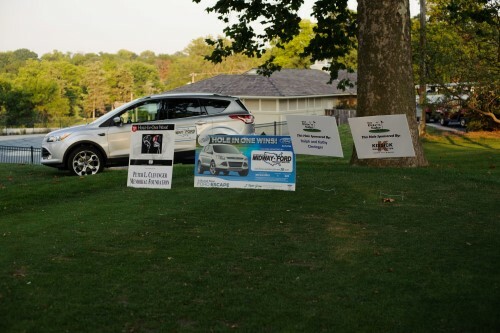 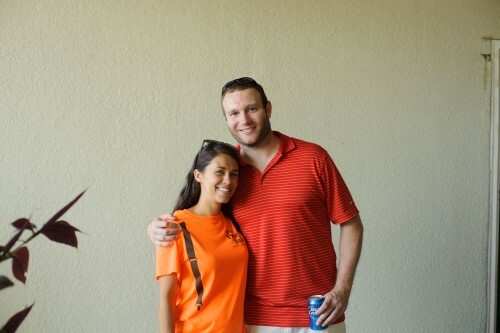 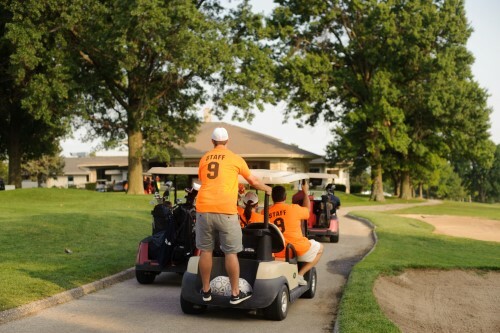 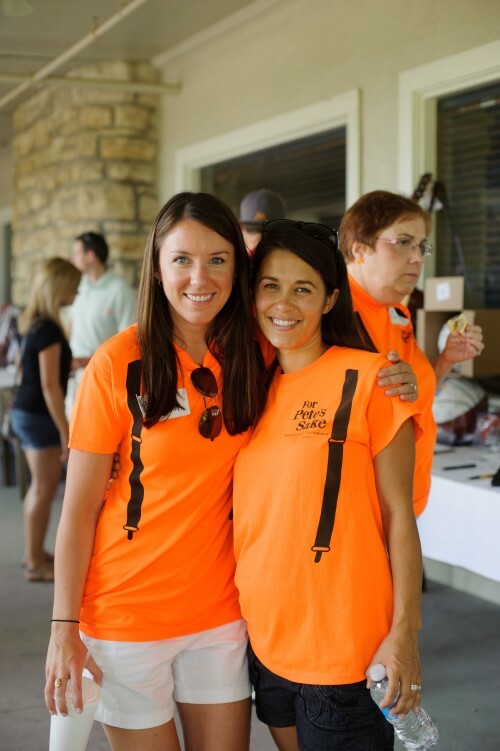 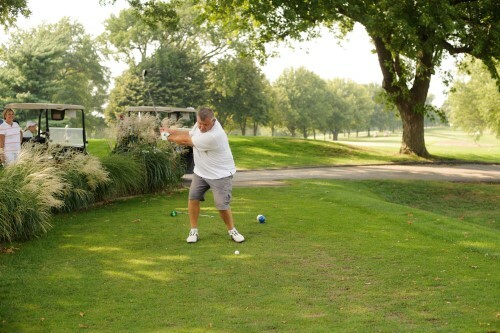 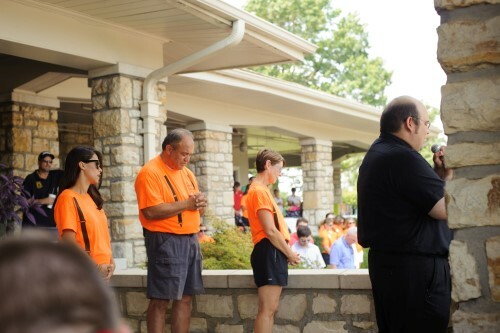 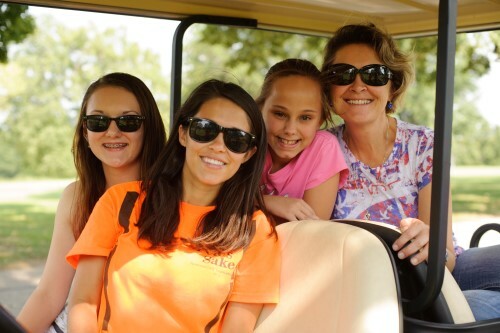 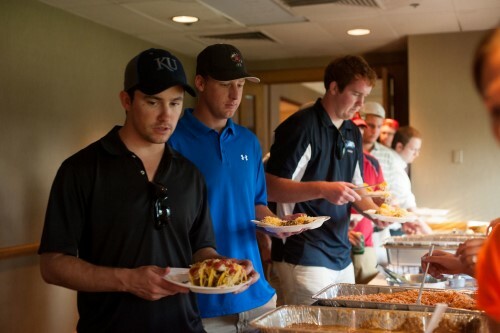 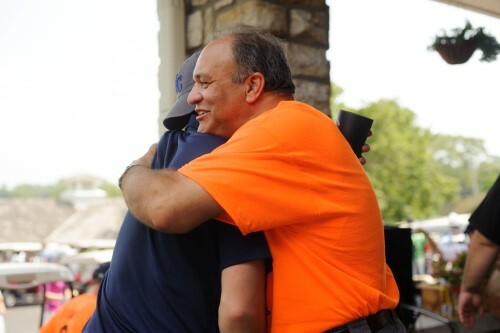 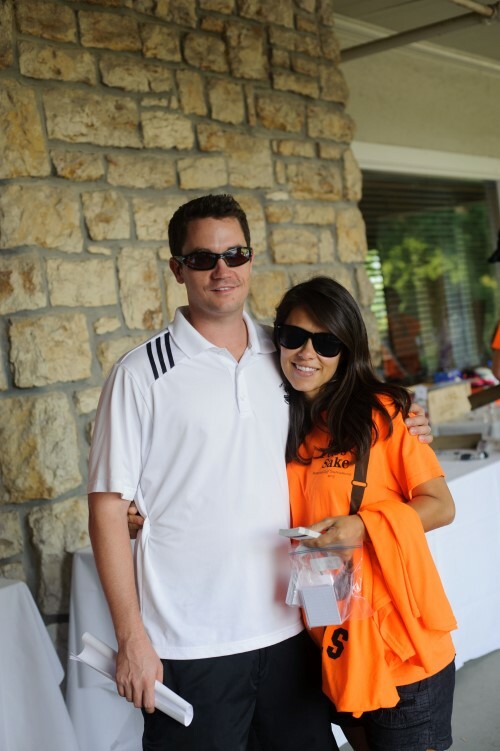 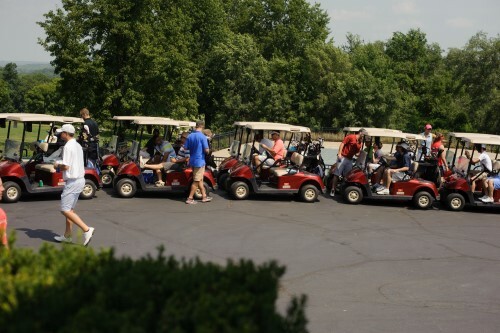 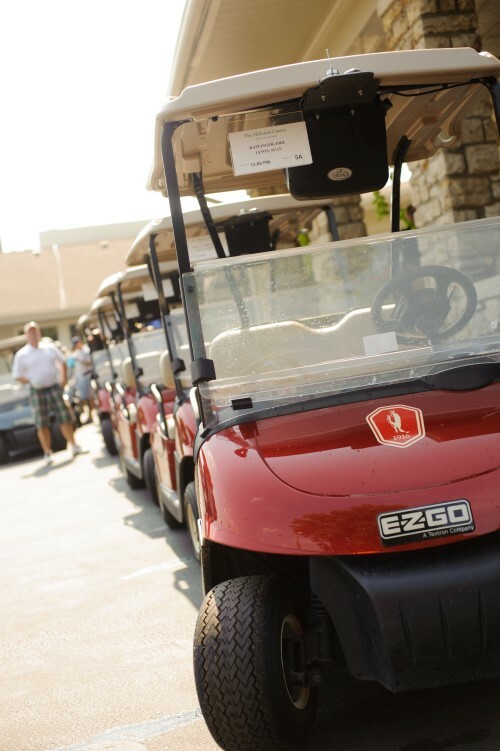 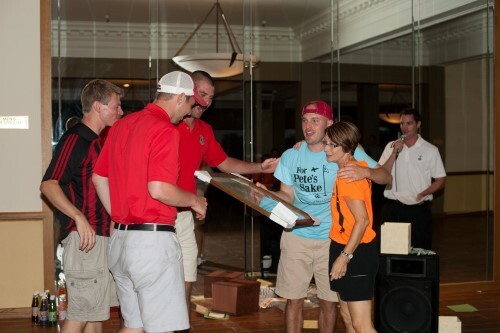 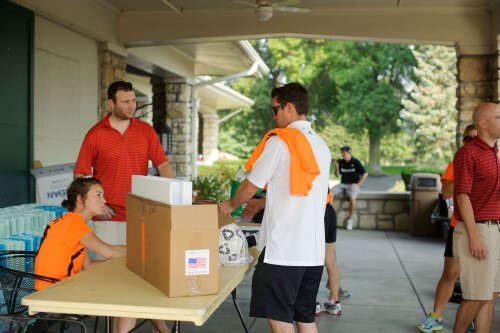 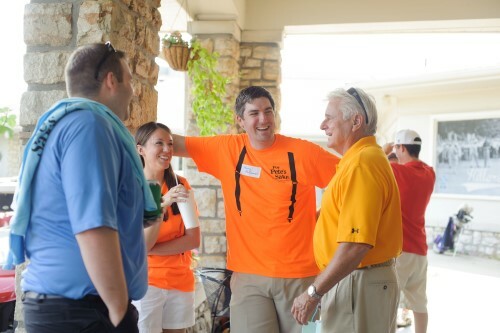 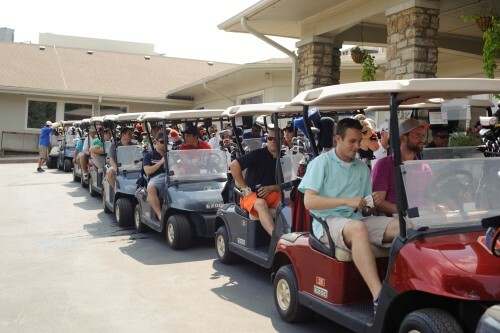 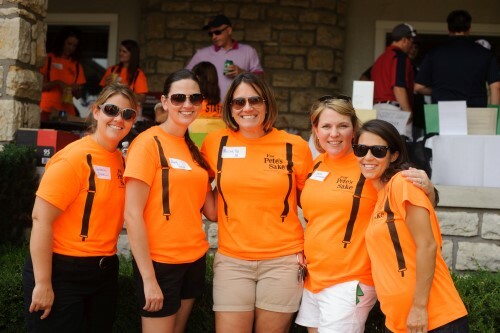 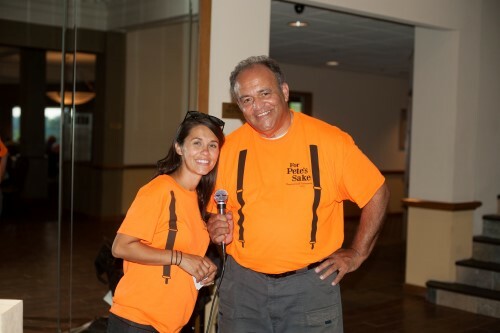 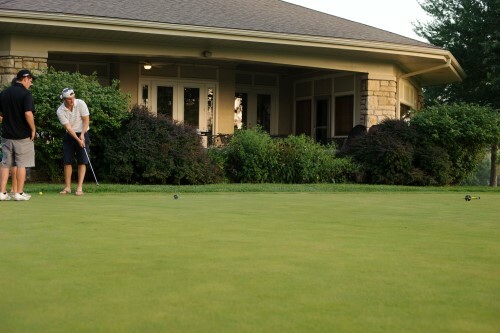 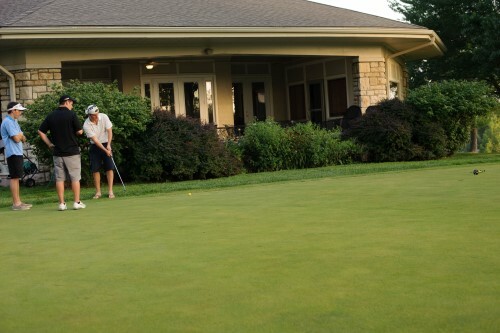 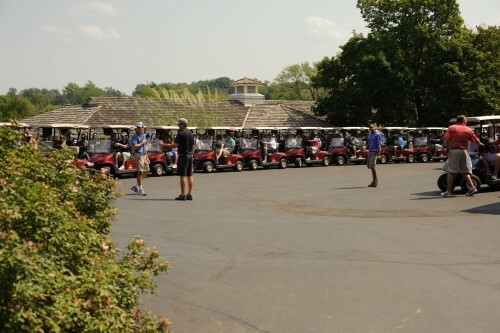 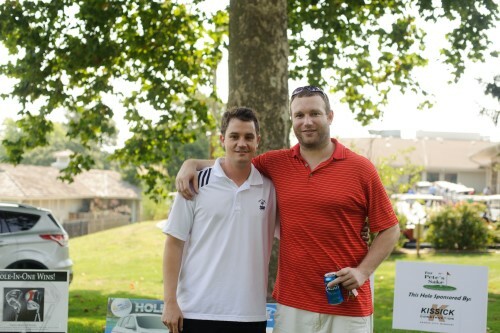 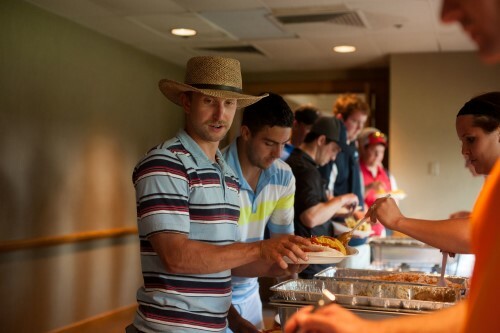 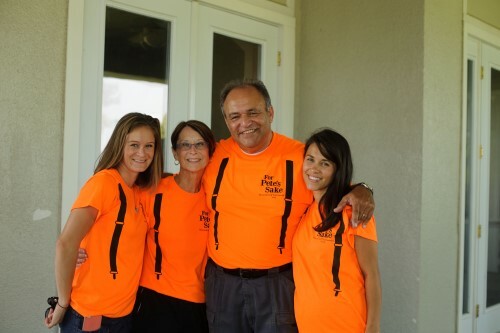 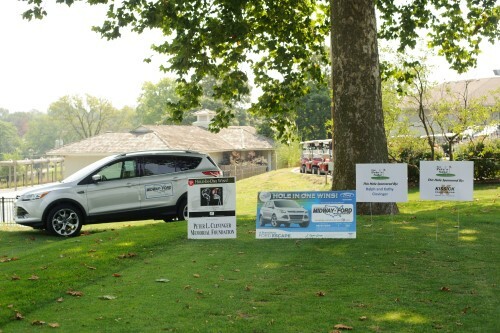 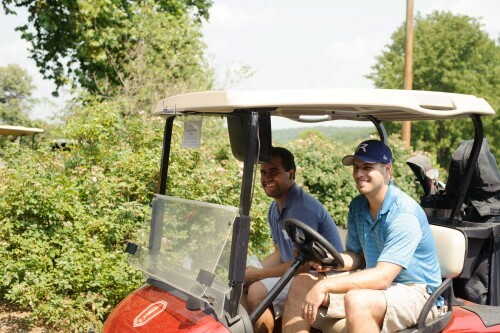 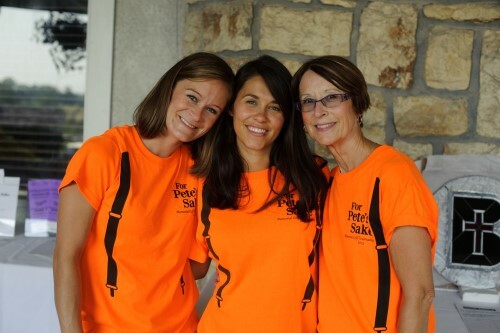 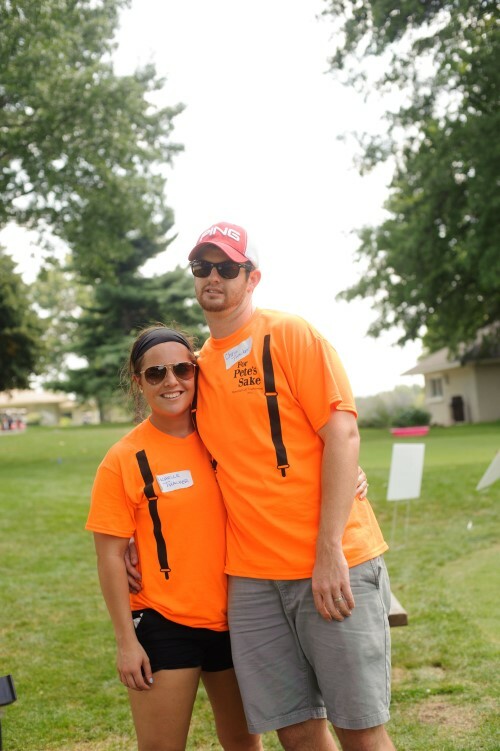 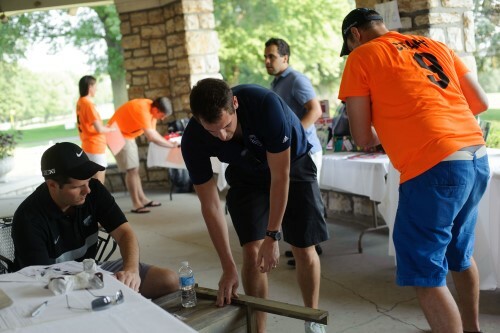 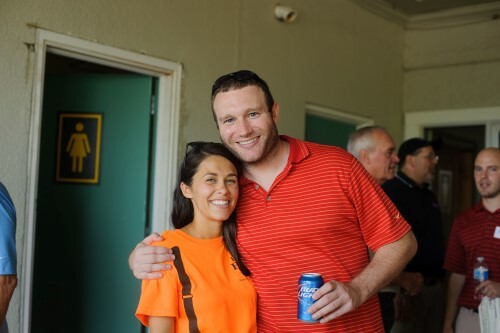 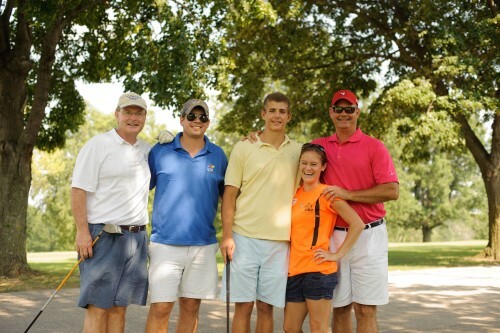 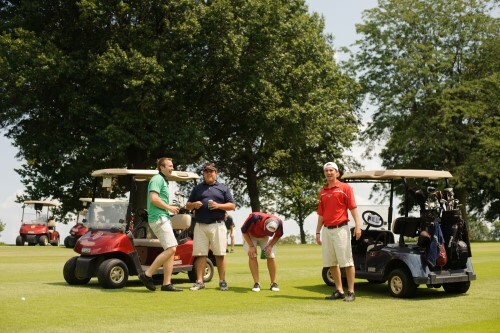 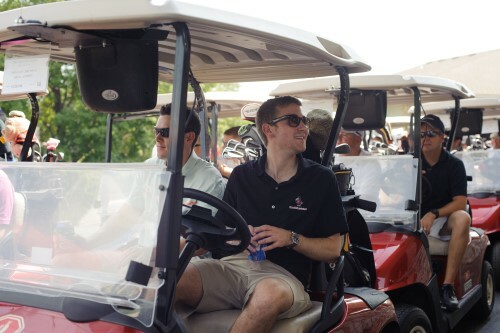 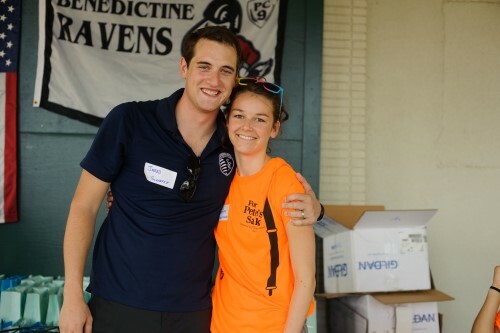 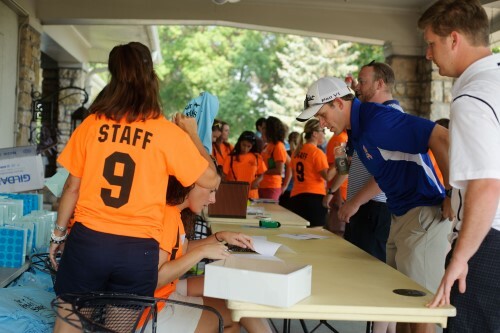 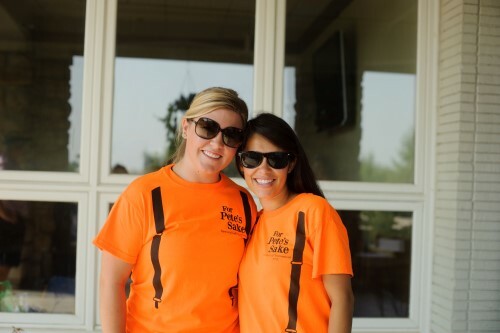 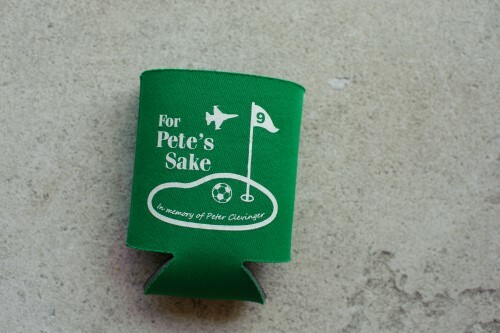 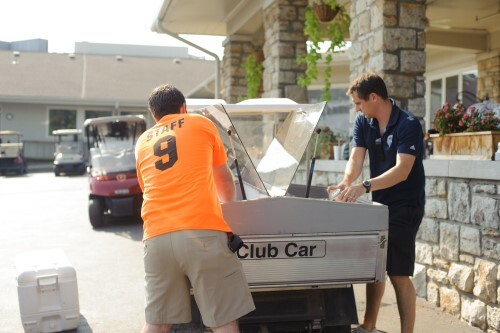 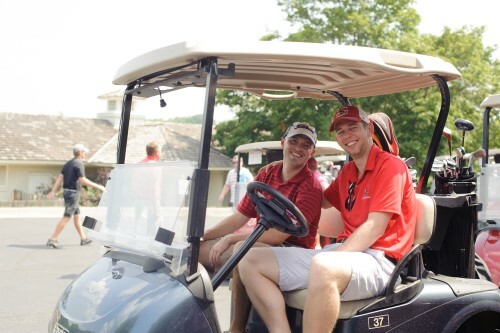 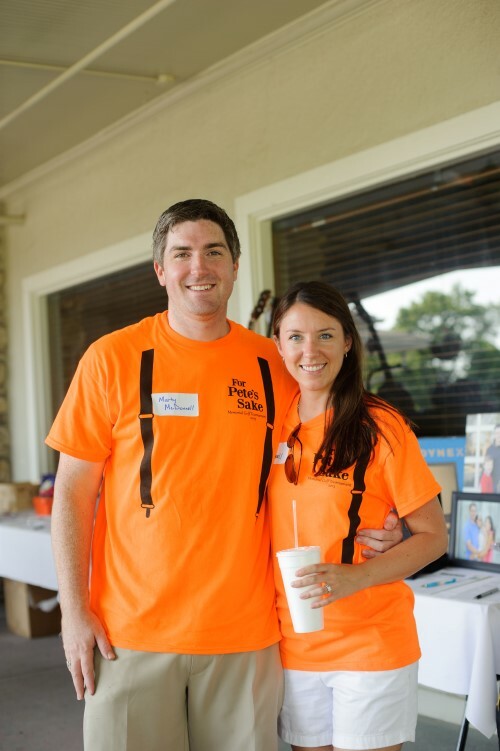 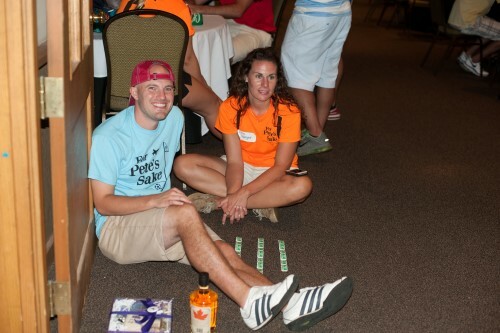 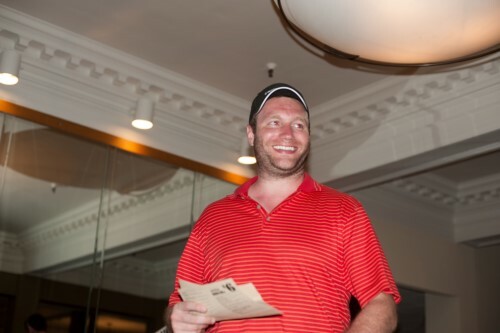 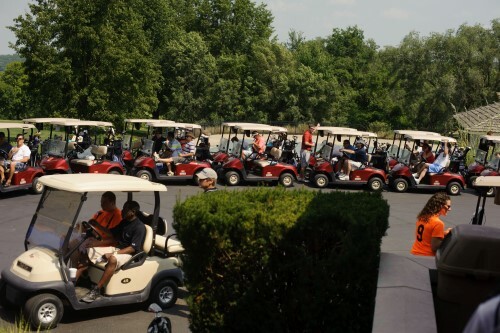 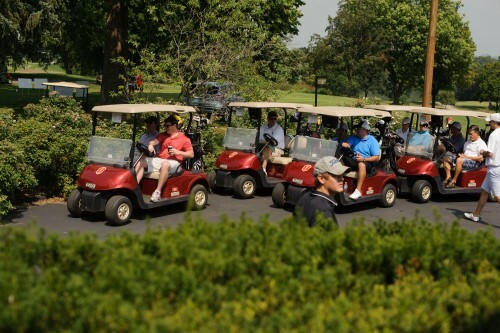 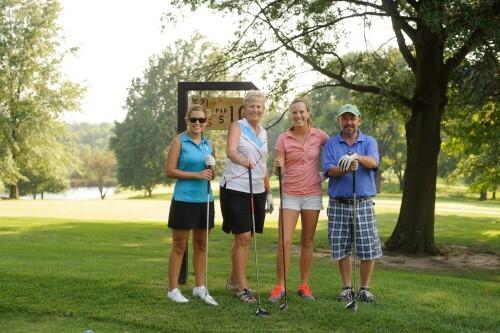 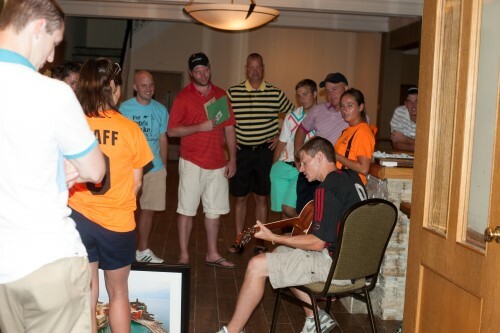 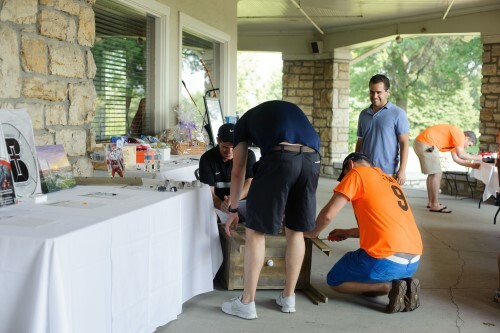 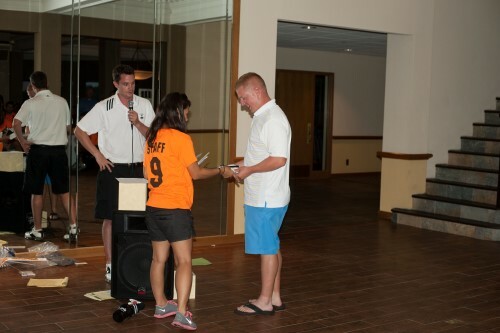 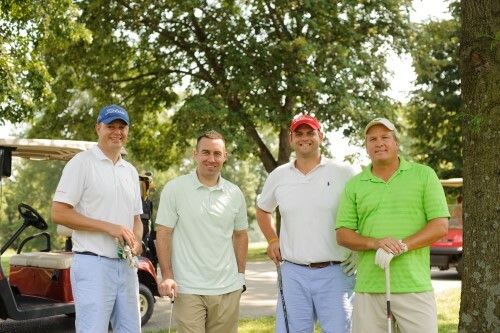 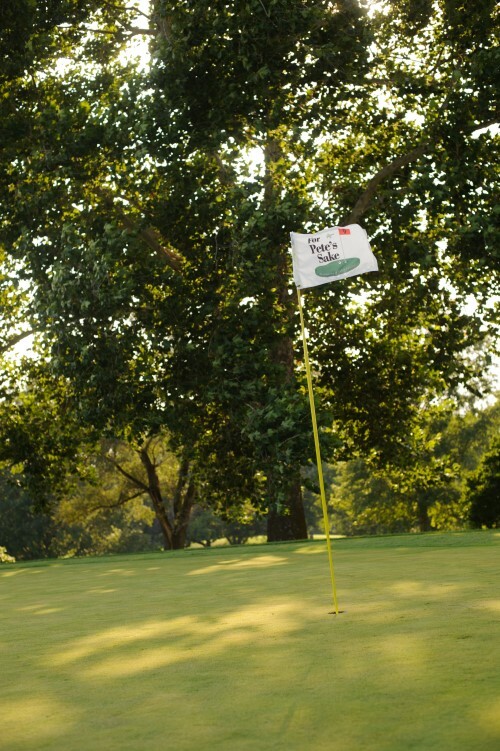 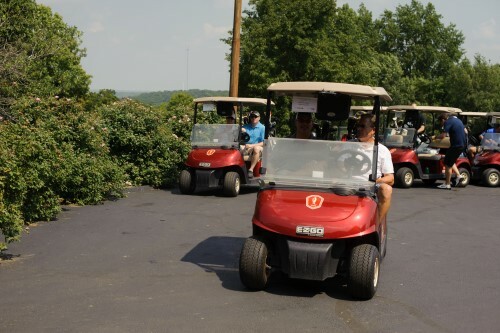 One hundred sixty golfers and 350 others participated in the silent auction, raffle, or dinner, or volunteered—just wanting to be there in support of Pete! 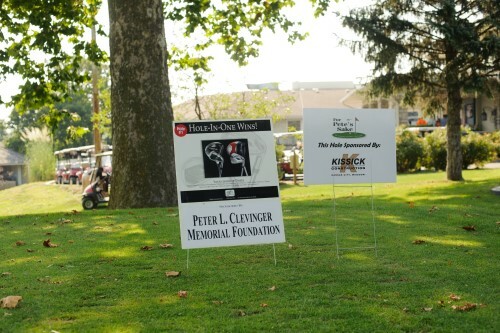 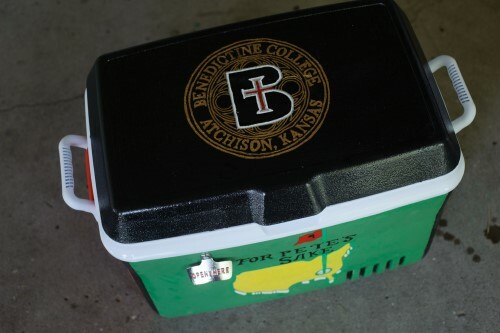 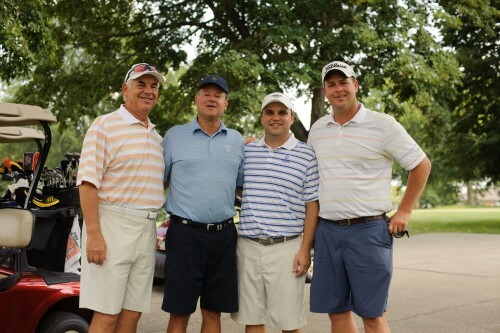 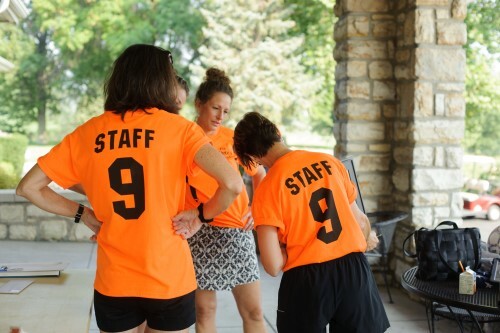 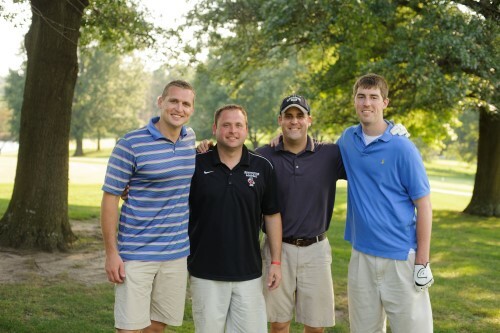 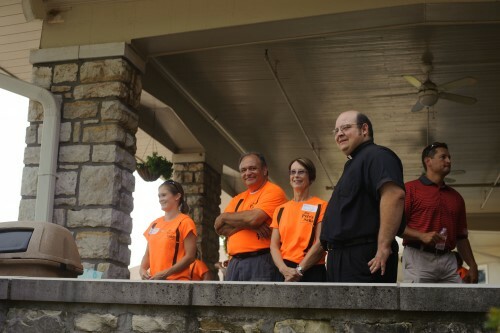 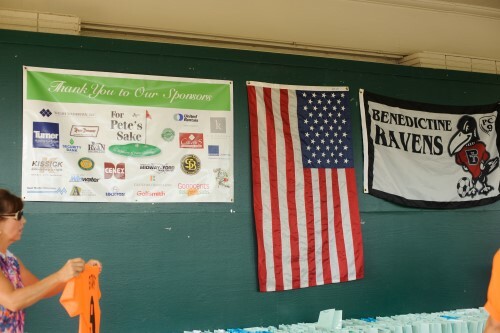 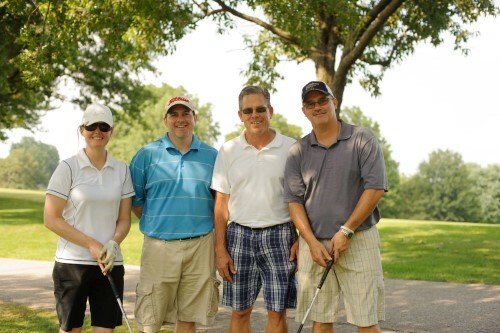 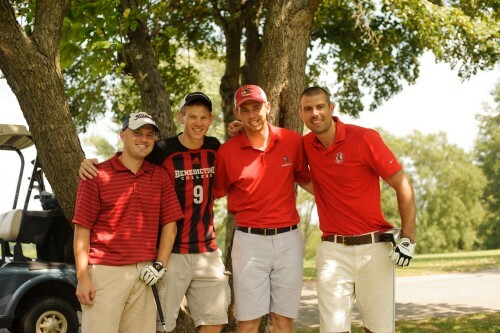 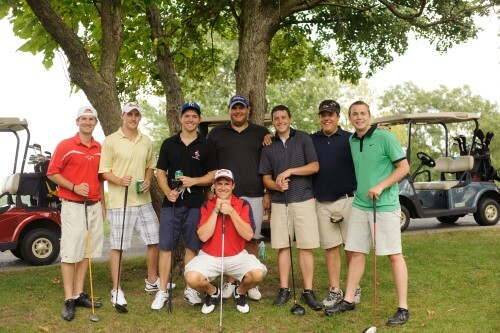 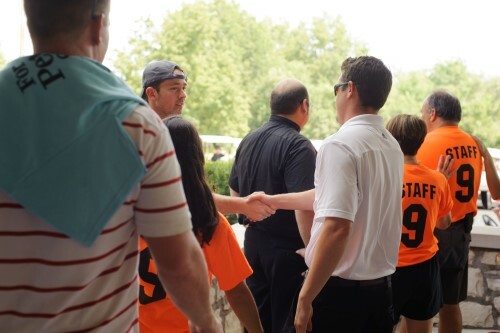 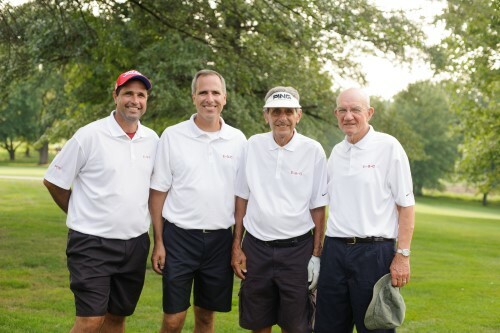 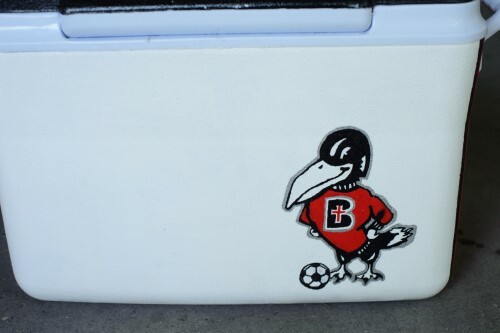 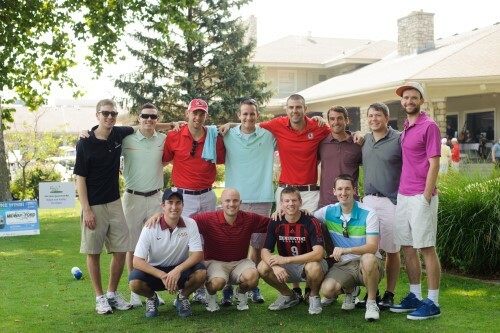 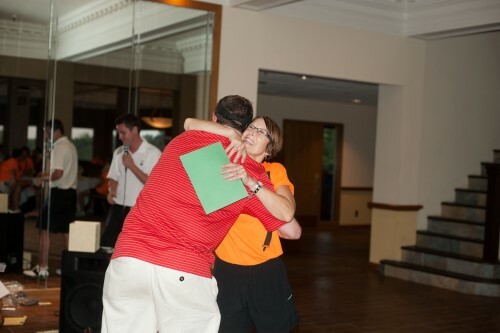 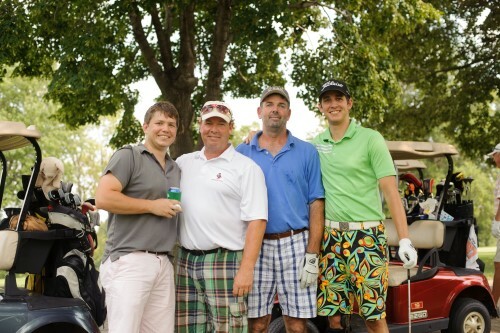 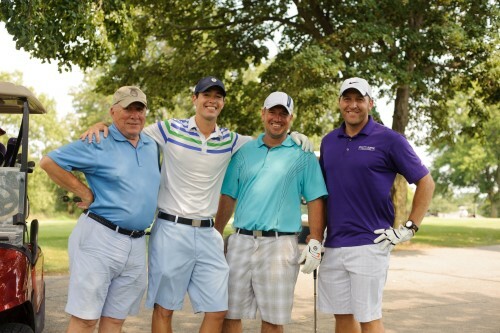 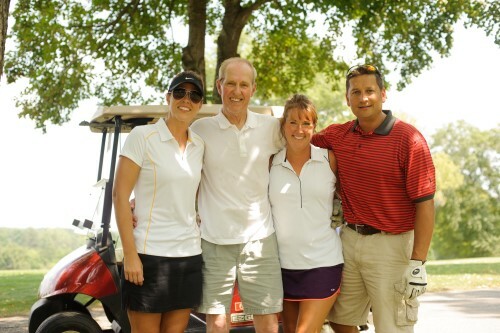 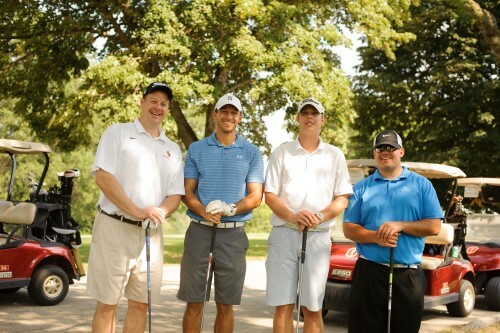 This outpouring of support, including golfers, corporate sponsors and friends raised over $25,000 dollars, enabling the creation of the Peter L. Clevinger Endowment at Benedictine College for soccer scholarships. 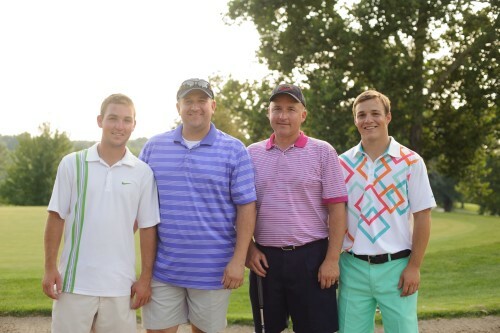 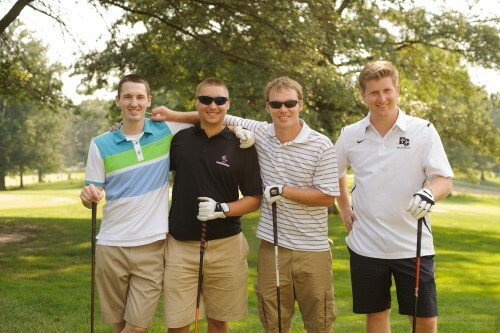 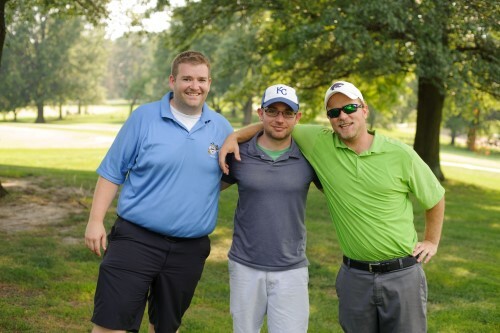 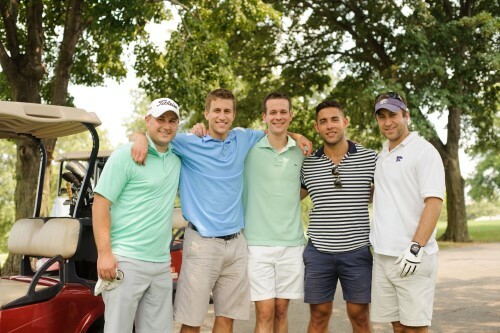 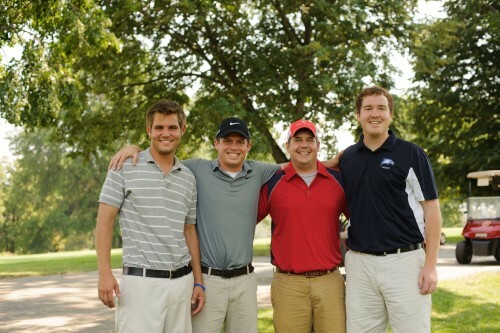 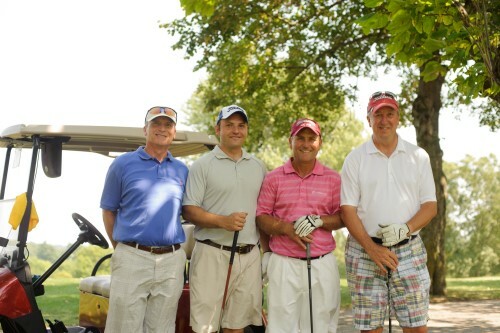 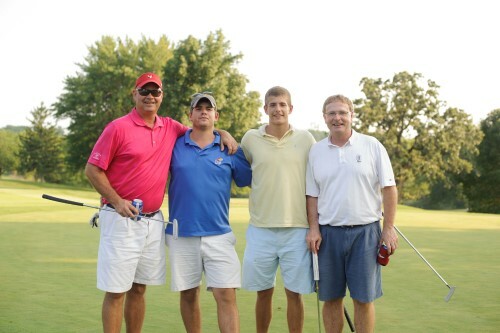 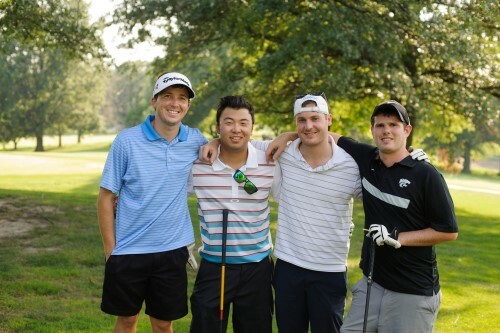 The Ryan Lawn & Tree foursome are the inaugural first flight tournament champs, while Dan Raplinger won the second flight. 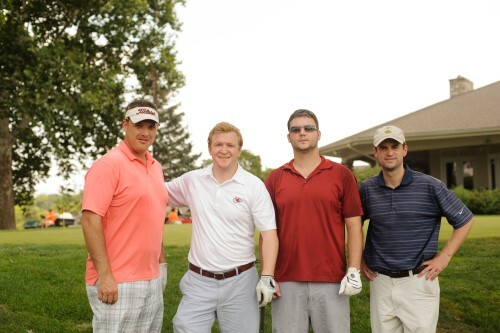 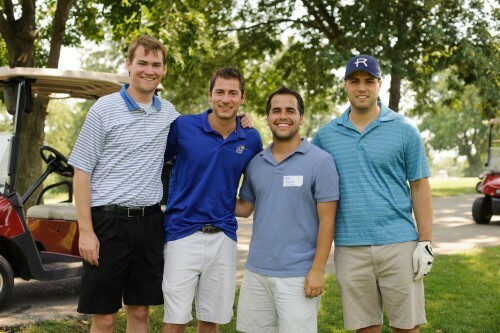 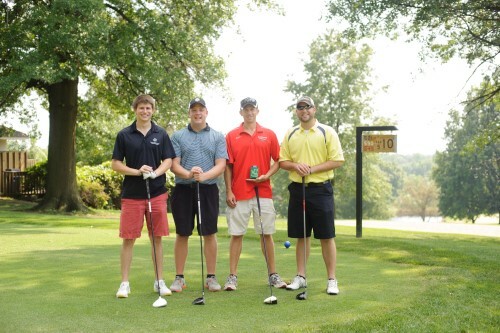 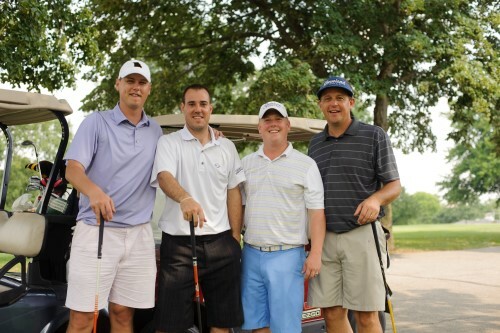 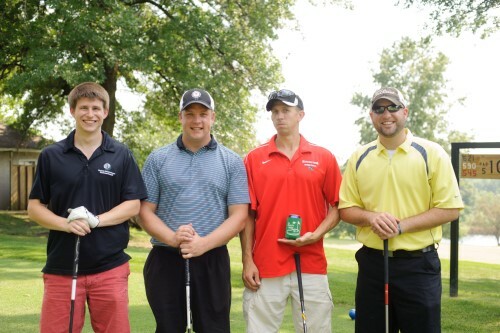 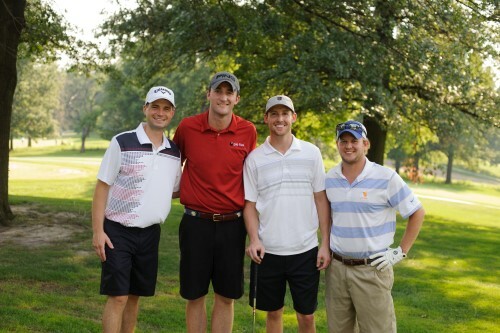 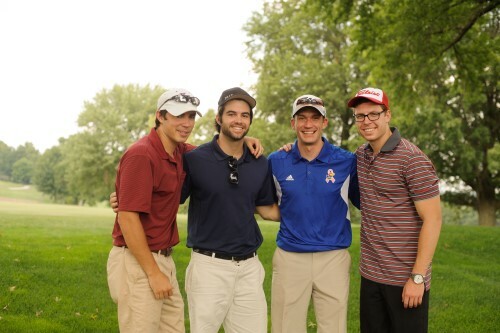 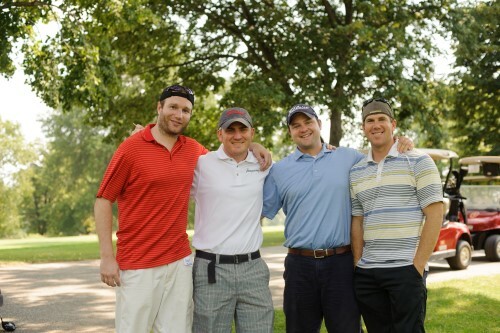 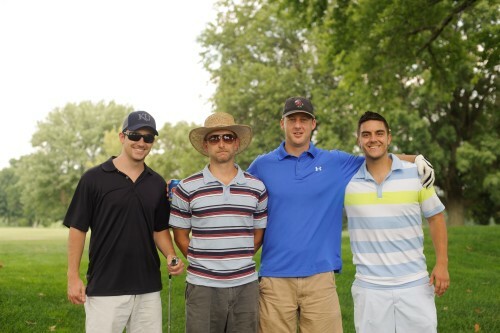 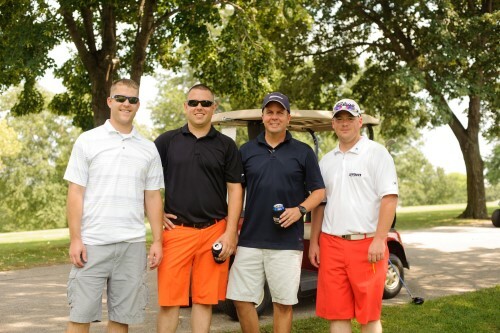 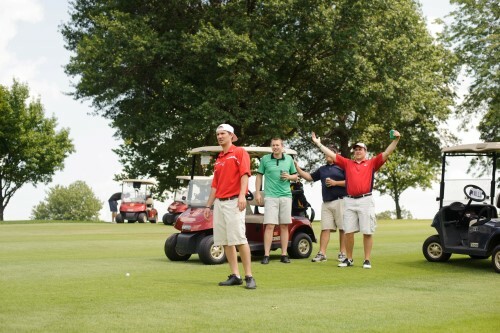 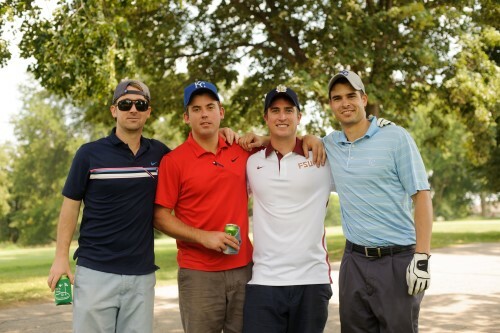 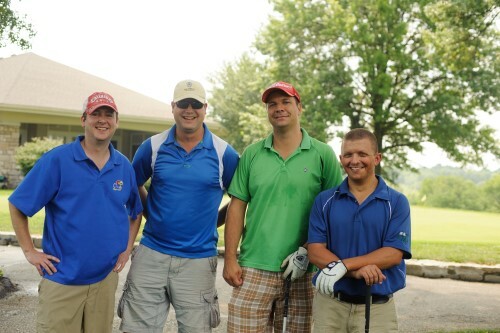 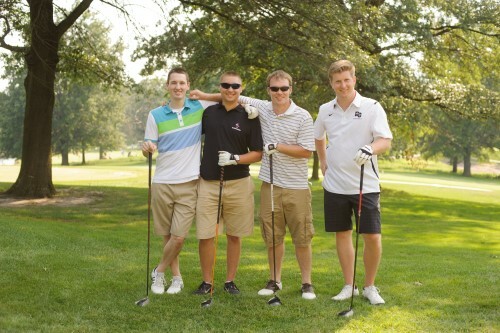 The lowest score of the day went to Eric Raplinger, Jason Durbin, Sean Lewis and Andrew Domian. 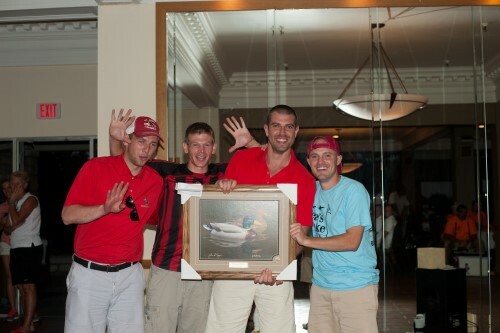 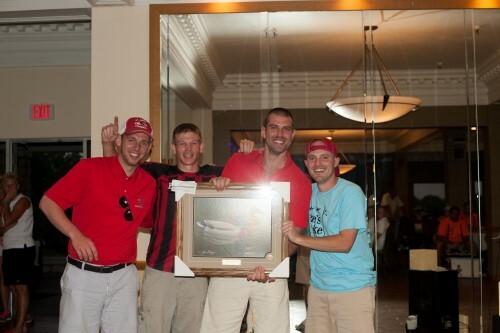 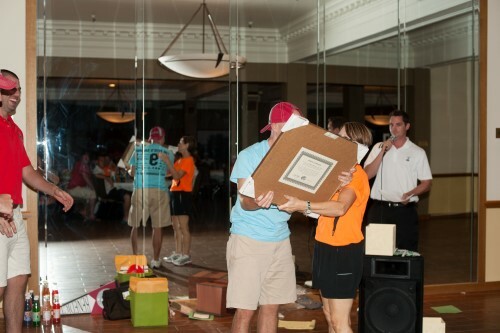 This lucky foursome shares the last place trophy – an incredible framed and matted mallard duck painting. 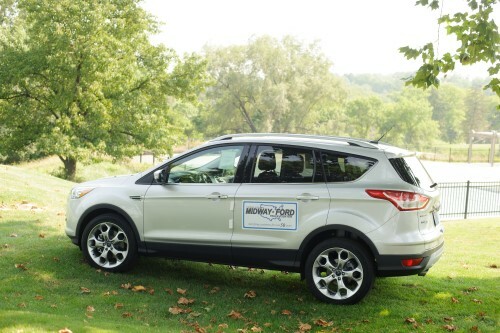 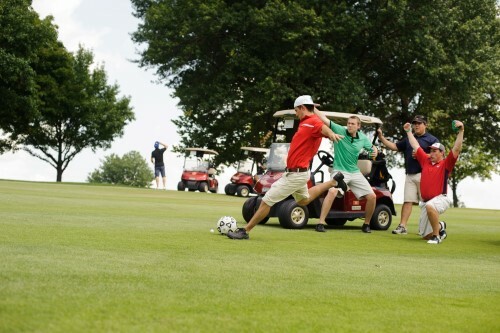 It’s the envy of every golfer! 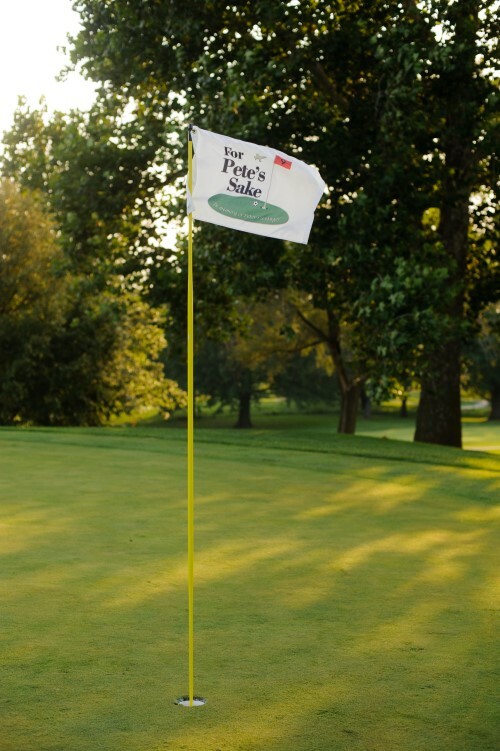 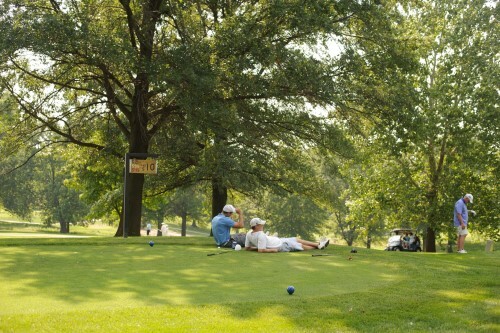 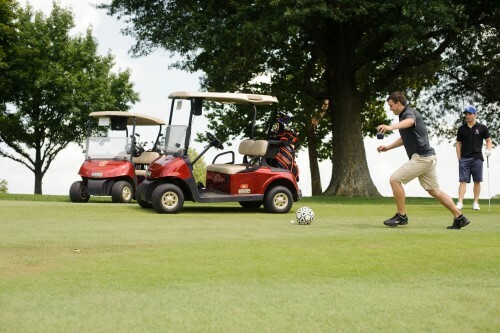 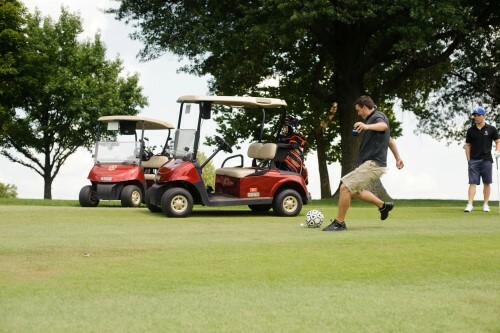 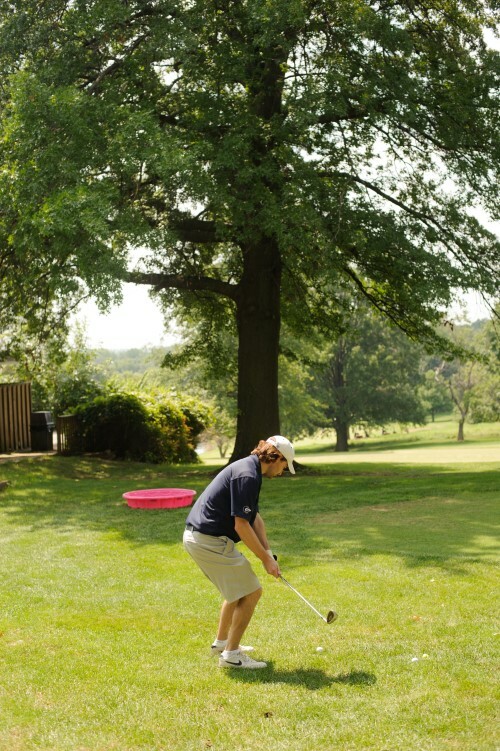 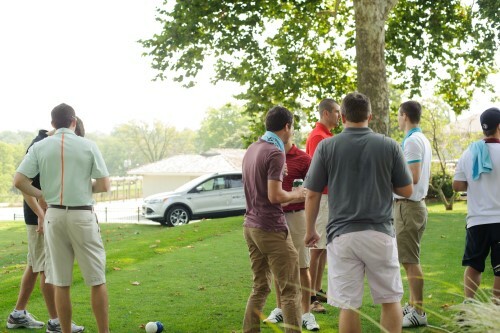 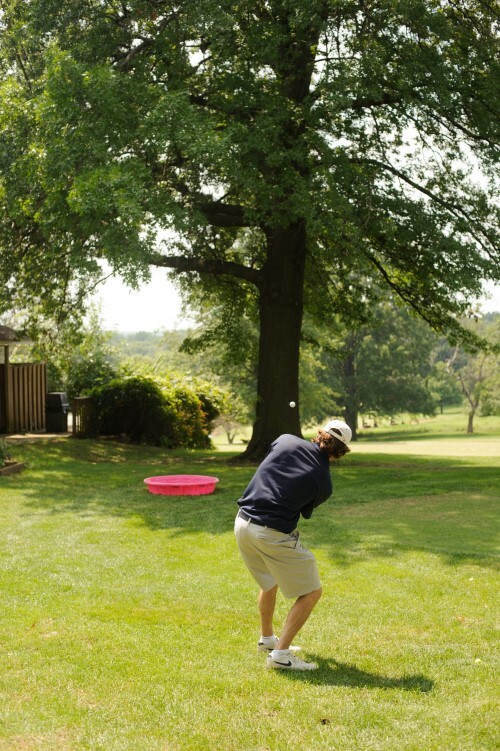 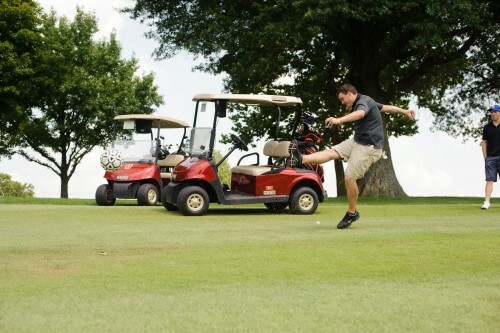 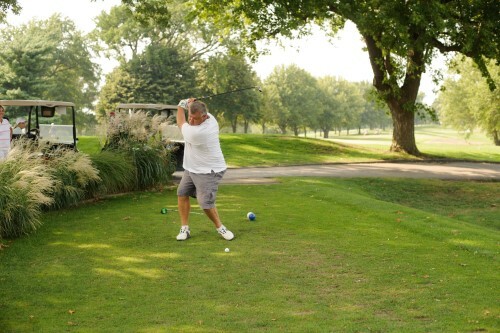 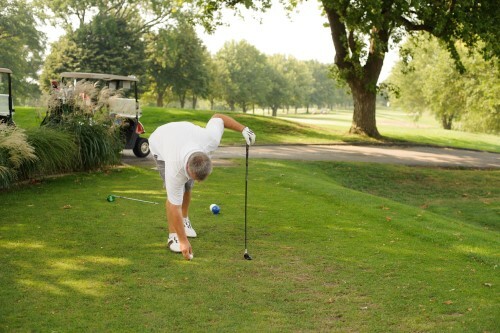 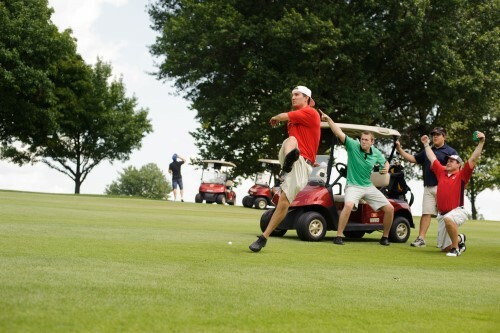 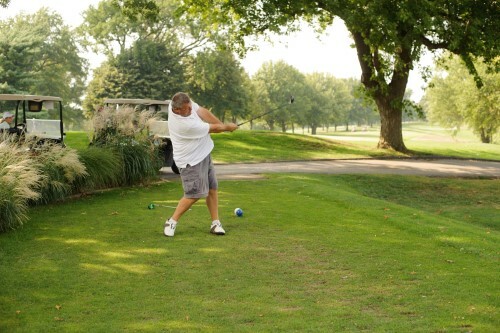 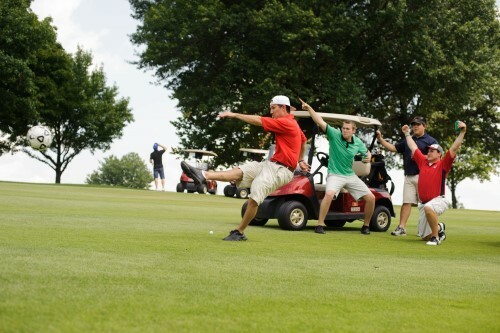 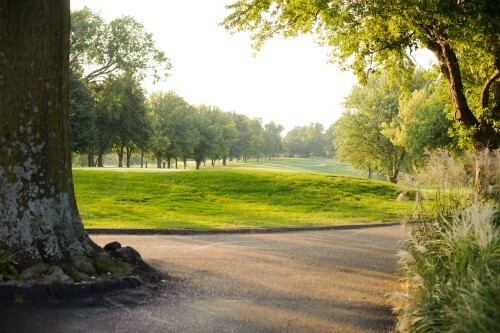 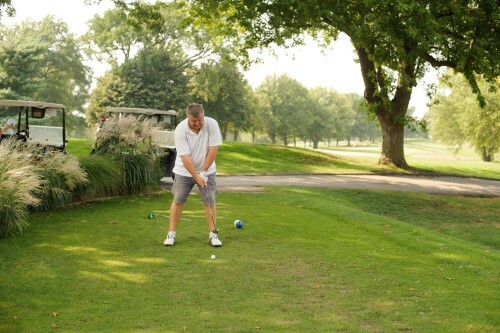 One of the unique characteristics of the tournament, and a favorite, was “Pete’s Kick.” A golfer kicks a soccer ball to extend the distance of their original drive. 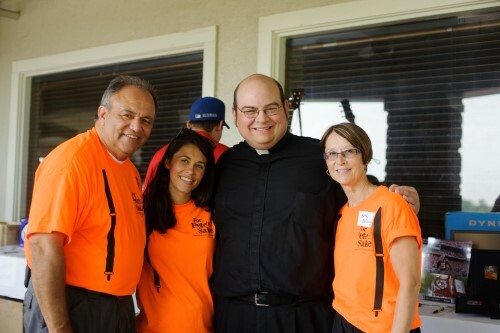 None of this would be possible without your love and generosity. 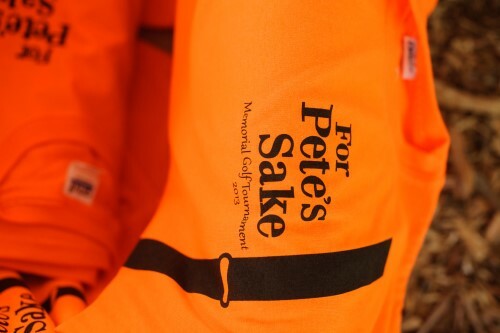 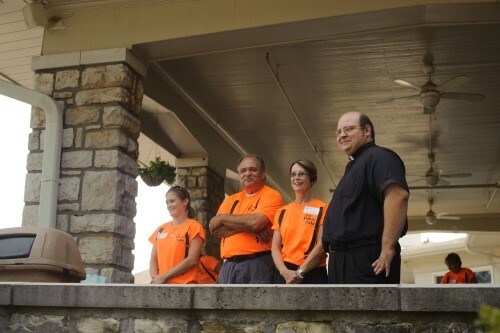 We are deeply moved by the way you have honored Pete, and are grateful for the friendship we now share because of him. 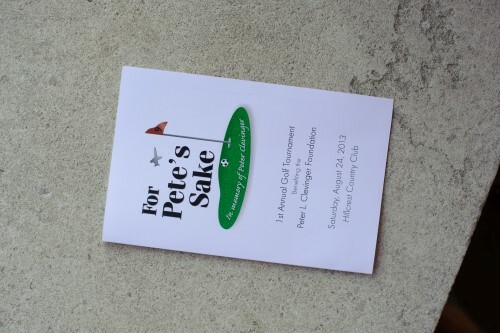 We hope that you will give consideration to participating and donating again and making “For Pete’s Sake” part of your annual charitable contributions.